I would like to thank That Girl Rane so much for nominating me! When I first got the notification I was sure it was a mistake as I really did not expect it! You should all take the time to read her blog as it’s really good! My favourite blogger at the moment is Lauren, you should all check her posts out! Her content varies from beauty, books, fashion, decor to lifestyle so it should appeal to a wide range of you. I love reading her posts as they’re really well written. I love being organised so I love buying notebooks and using them for different purposes! I have a diary/planner, travel list notebook, journal and a notebook for lists and blog post plans. It doesn’t help that paperchase do really pretty notebooks. I use tarot cards on my friends and they actually seem to work! I once played trampoline basketball and absolutely loved it! it should be an actual sport! I sleep with a bible and a cross next to my bed, I’m not heavily religious but I have watched way too many horrors – but I love them! I work in a nursery in a primary school, this isn’t really a random fact about me but children do random things and I ran out of things to say as I did a similar thing in my previous post – Get to know me! Hopefully still at my job, possibly doing an animal course and driving! I also hope by this time next year I have traveled and seen more of this world. Which season resonates with you the most and why? I feel like Autumn/Winter is more of my kind of season as I love wearing jumpers, cosy nights in watching movies, hot drinks and the atmosphere! I love the colours that you can wear in these seasons as burgundy/red/orange/black/gold are all my favourite colours for clothes! Also who doesn’t love Halloween, fireworks night, Christmas and New Year?! If you could visit a new city tomorrow where would you go? This is soo hard as there are so many cities that I want to see but I would probably say Paris, next up would be Berlin but I would rather go there at Christmas time. Hell yeah, that’s partly why I enjoy collecting gemstones. I absolutely love going to astrology shops! My favourite one is in Covent Garden, London. Pasta 100% I’m addicted to it! Bring me to any restaurant and as long as they serve pasta I’m happy! “Everything happens for a reason” I believe this religiously! Whether it good or bad I believe that everything really does happen for a reason and shapes who you are as a person. What series have you recently binge watched? Apart from food and water which is obvious, I wouldn’t be able to live without my friends as they have helped me through everything and have always been there through thick and thin. I would not be here where I am today if it wasn’t for them. What is your dream carer? If you could spend a day as any celebrity who would it be and why? If you could travel to another country tomorrow which country would you go to? If you was an animal what animal would you be? If you could be a movie character who would you be? and why? What song relates to you the most? If you could have 7 minutes in heaven with anyone in the world, who would you choose? If you was stranded on an island what THREE things would you bring with you and why? 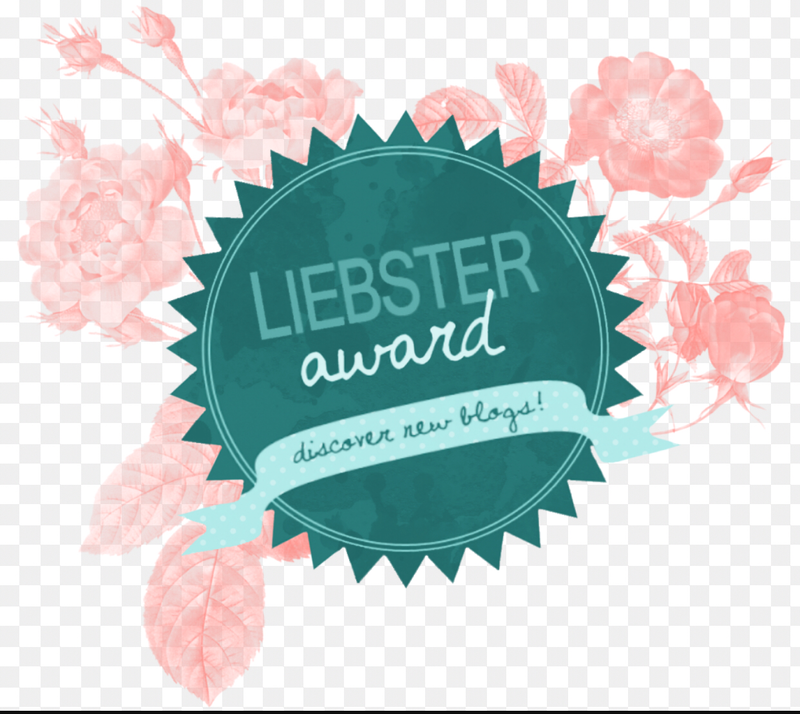 If you are unsure on what the rules are for the Liebstar award check out Fall for Maine‘s post on the rules which is really useful! Thankyou for reading this post! Thank you for the nomination, Jess and also for your kind words about my blog! I love reading yours and especially loved reading this post! My mum is huge into crystals and their meanings as has her own crystal bracelet that she swears by. Harry Potter is amazing so why wouldn’t you watch it over 10 times? I’m sure I have – I’ve just started re-reading the books again now. I have a few posts lined up but be sure to watch out for my response! Cannot wait to answer your questions.